Electricity has changed the way people live in this world. However, with the benefits of power come with inherent dangers. Once voltage gets out of control, this can prove to be dangerous to both property and lives. More than 80 percent of fire-related deaths take place in homes, especially in houses without a working fire alarm or sprinkler systems put in place; these fires can quickly devour a house before the occupants have time to react. Outlets must be installed at a reasonable distance away from sinks, faucets, bathtubs and other water sources. Since water can conduct electricity, keeping your outlets away from these water sources reduces the dangers of electrical shock. Sometimes, the proximity of an outlet to water is unavoidable. In these cases, the outlet should be a ground fault circuit interrupt or GFCI type. Also, it’s important to avoid using a phone, hairdryer, radio or other devices near swimming or other pools, in the bath or anywhere with a wet floor. 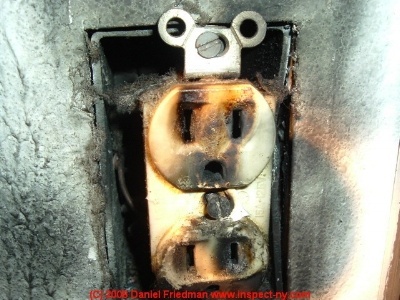 Poor and defective wires increase the risk of power surges, fires, and short circuits. For this reason, it is always best to entrust the electrical system (and your home) to the hands of a certified, professional electrician. The frequent occurrence of tripped circuit breakers or blown fuses is a sure sign of a much more severe issue with your home’s electrical system. 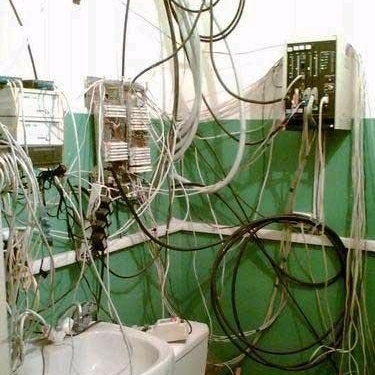 These problems are often the result of bad wiring, overloaded electrical system or a poor amp capacity. If it happens regularly, or it happens, and you can’t immediately identify and rectify the problem as being one of over-usage, hire an expert electrician who can examine the system and find the problem. Electrical codes cut down on the number of electrical deaths considerably. Every time you hear buzzing or crackling noises from your home’s outlets, it means that there is an arcing of electricity. When you encounter such problem, remove the plug right away from the socket. Never use this socket again until a professional electrician has repaired and checked it. If the device which was unplugged has burnt terminal ends, it should be replaced. When an incandescent light bulb is turned on, the gases within it heat up, which can then react negatively to the cold temperature around it. Incandescent light bulbs should never be close to any flammable materials such as drapes, beds, fabrics, and other similar items. Safety is of utmost importance when it concerns the electrical components in your home. By being familiar with these common electrical dangers and calling an electrician when there's a problem, it will be easier to protect yourself, your family and your property from these risks.